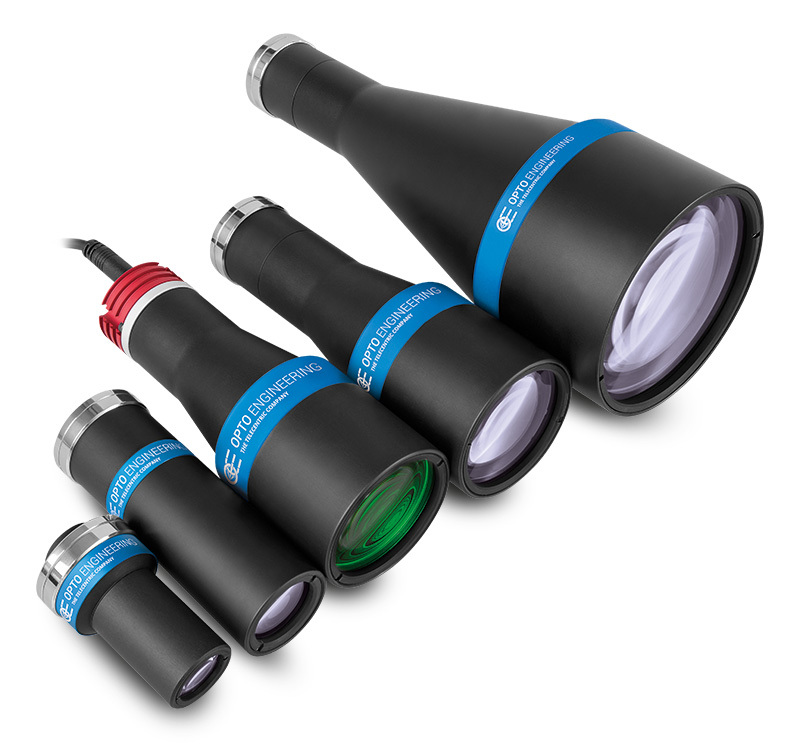 The Opto Engineering® TCKIT case includes a selection of some of the most commonly used telecentric optics in measurement applications. A kit of four C-mount telecentric lenses covers FOVs ranging from 9 mm to 64 mm, offering good coverage of many measurement applications. These lenses are suitable for detectors up to 2/3”, so that most cameras can be used in combination with this set of optics. In addition, a LTCLHP036 collimated light source collimated light source (green color) is included in the box; this illuminator can be coupled with the three smaller telecentric lenses in order to demonstrate the several benefits of collimated illumination. 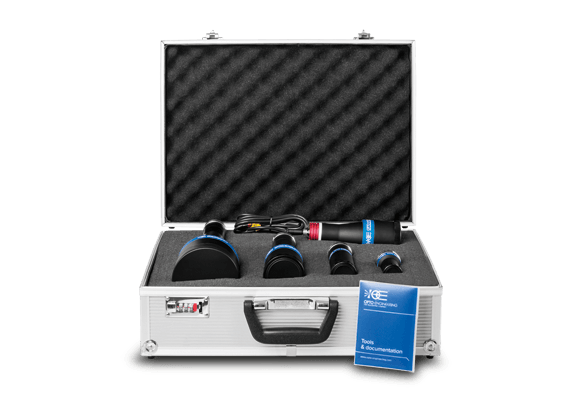 The telecentric kit case is a very helpful tool for system integrators and research centers that are frequently dealing with new machine vision applications. 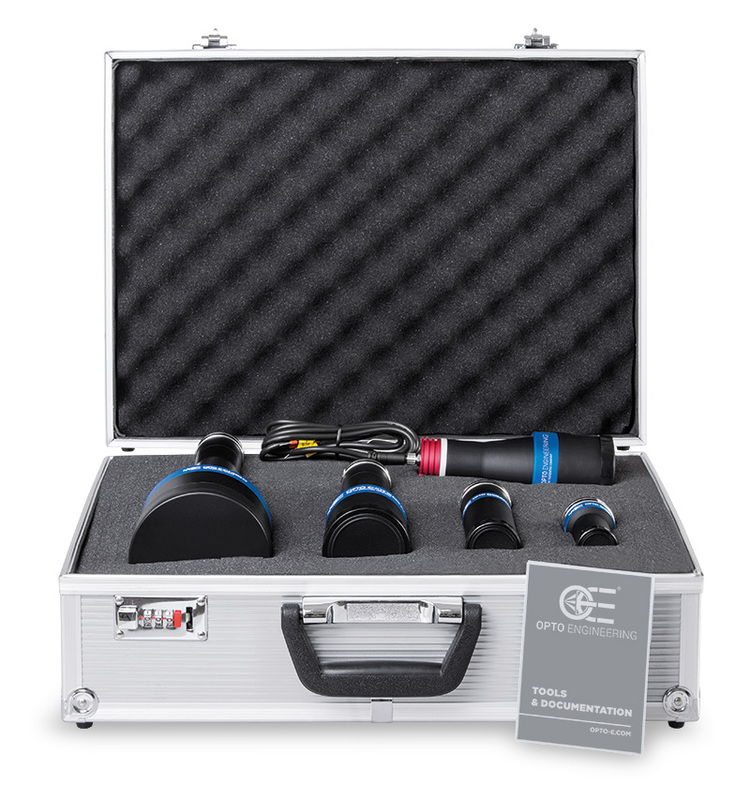 The TCKIT case also benefits from our special educational price: you should seriously consider buying this kit for your laboratory and discover the advantages of bi-telecentric optics!